Grigoris Tasios (center) at the 34th Philoxenia exhibition. 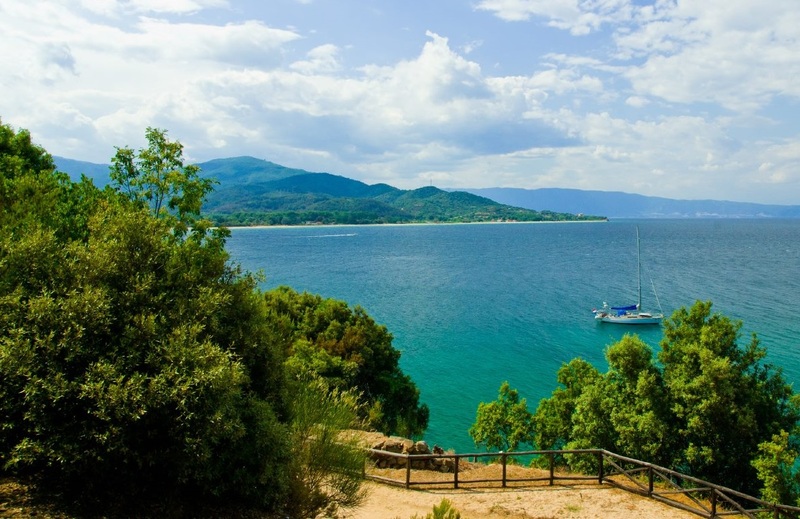 Halkidiki in Northern Greece is seeing tourism flows rise with Germans in the lead followed by the Brits, while authorities prepare to tap into the Irish market thanks to the new direct connection between Thessaloniki and Dublin, the head of the Halkidiki Tourism Organization (HTO), Grigoris Tasios, said last week during the 34th Philoxenia tourism show. 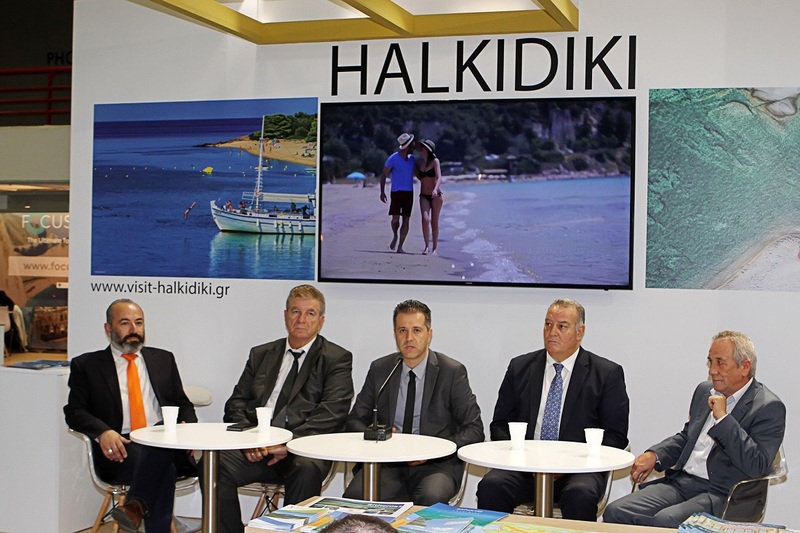 Tasios presented feedback and data collected during the HTO’s participation in London’s World Travel Market recently, noting an increasing demand in Halkidiki destinations for 2019 and satisfactory figures for 2018 – which remained near 2017 levels. Other source markets for the region in 2018, according to the HTO, were Holland, Beligium and Italy. 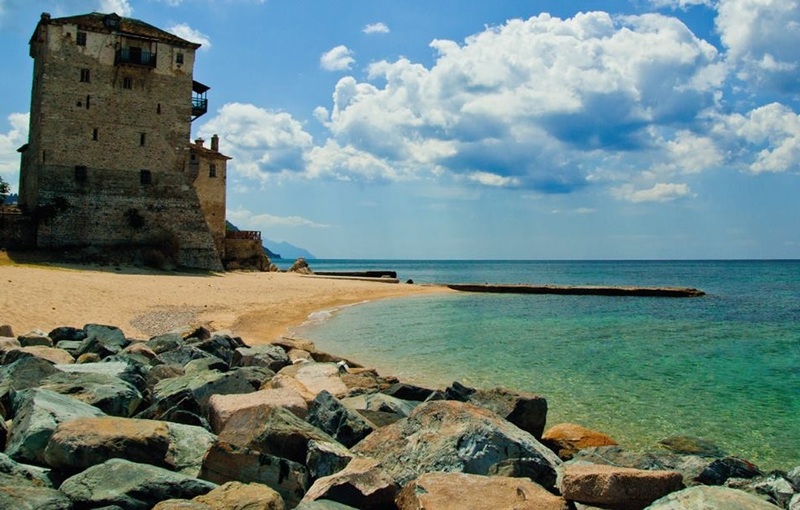 In view of Ryanair’s new Thessaloniki-Dublin direct link, Tasios went on to announce the launch of a series of press and fam trips next spring within the HTO’s strategy to reach out to the Irish market after initial networking carried out in London. 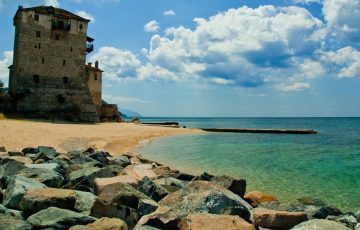 In terms of road arrivals, more travelers from Romania visited Halkidiki, followed by Serb, Bulgarian and Skopje holidaymakers. HTO executives also met with tourism and travel professionals from 15 countries, including China, India, Jordan, Finland, the US, the Netherlands, France and Poland. Tasios also announced the completion of a study for the development of a network of hiking trails set to apply for official certification by the European Ramblers Association (ERA). The head of HTO said the goal was to open 10 of the 25 trails in the coming year. 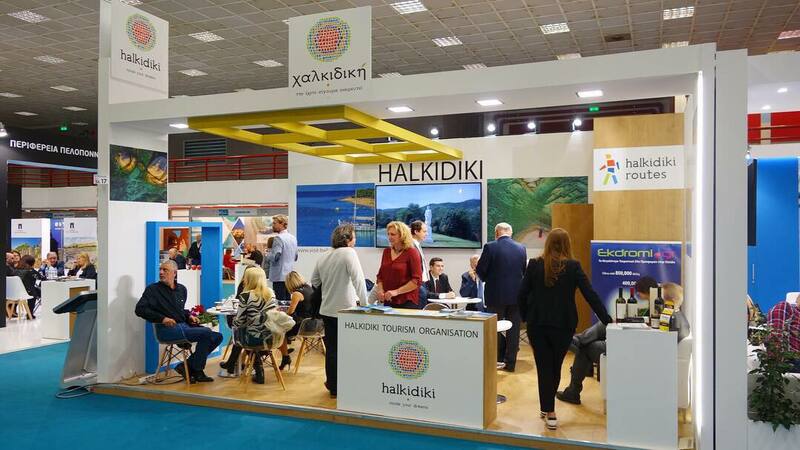 Meanwhile, findings from a study on traveler satisfaction in Halkidiki carried out in the July-October 2018 period by the American College of Thessaloniki (ACT) on behalf of the HTO will be presented in December.